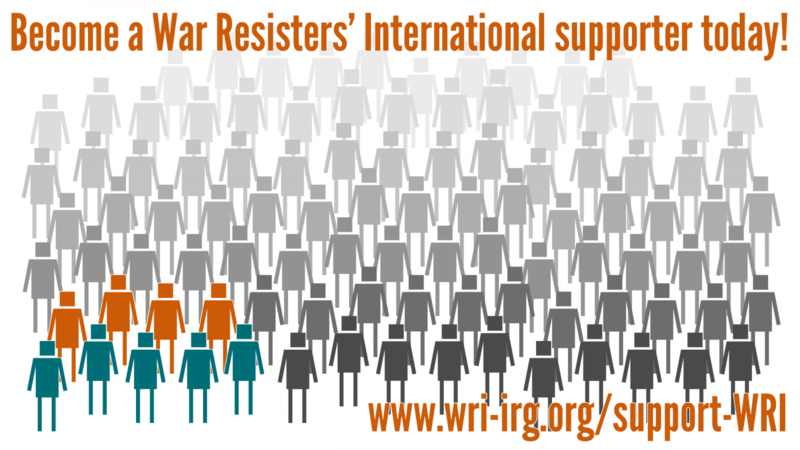 War Resisters' International is funded through the support of our member organisations (see here for information on our affiliates), and through the donations of individuals and trust funds who share our vision of a world without war. We also sell books in our online bookshop. We are grateful to all our individual donors, as well as funders including the Joseph Rowntree Charitable Trust, the Lush Charity Pot, The Network for Social Change, as well as to our fiscal sponsor in the USA, the AJ Muste Memorial Institute.